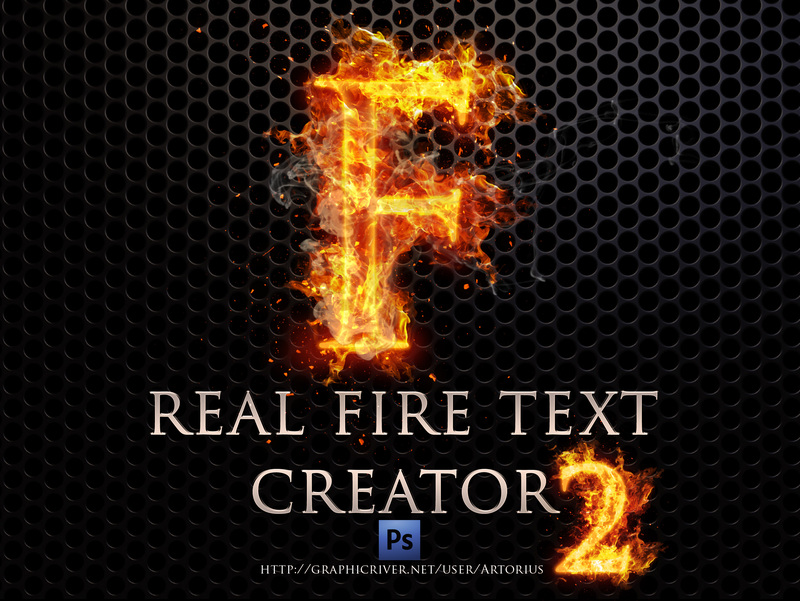 Real Fire Text Creator 2 is a Photoshop action that makes it very easy to create spectacular fire text effects. You only have to type a large size text, play the action and place the flames as you want, with the special brush (around or less than a minute required). Placing the flames personally will allow to create truly unique results with larger/smaller flames or more or less dense. The result is a folder containing multiple layers with advanced customization possibilities: blending options and smart filters.